Art historian Adalsteinn Ingólfsson is without a doubt Icelands most prolific writer on art. He also has an extensive record as curator and lecturer. Adalsteinn Ingólfsson is currently working on his twenty-third book. He is also the author of hundreds of articles on art, both Icelandic and International, and has written over fifty exhibition catalogues. His writing has also appeared in numerous anthologies and he wrote essays on Icelandic art for the thirty-six volume Macmillan Encyclopedia of Art. 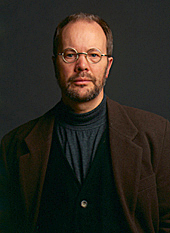 He was chief curator of the National Gallery of Iceland from 1991-97. Ingólfsons writing spans the entire history of Icelandic art and he has additionally done pioneering work in such areas as naïve art in Iceland. Art historian Adalsteinn Ingólfsson traces the career of Nína Tryggvadóttir through the 1950s and into the 1960s, including her involvement with key figures in the art world on both sides of the Atlantic.